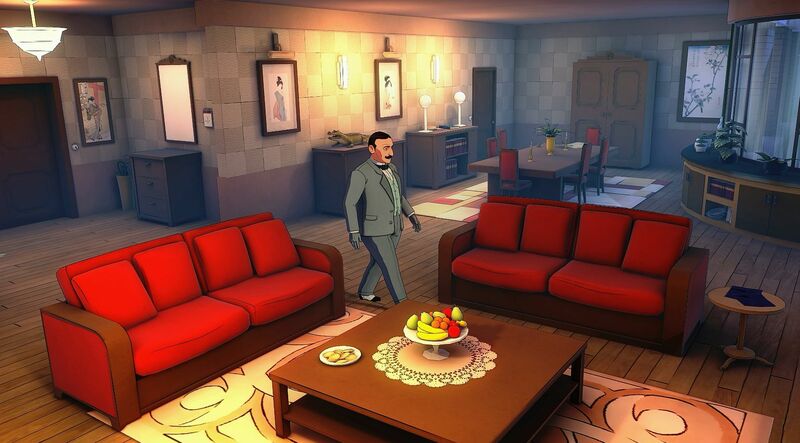 PC Review: Agatha Christie: The ABC Murders | "DESTROY ALL FANBOYS!" Gameplay follows the pattern of letter threat, discovery of corpse, exploration of a few surroundings for clues, a few mini-games comprised of puzzles of assorted degrees of difficulty, and Poirot’s little grey cells working furiously but cooly in some simple matching evidence bits. The best parts of the game are when Poirot recreates each murder in his head with intent on finding out how each victim met his or her end. These brief moments of violence spice up the proceedings nicely enough without being shocking or overly violent (although that’s part of the reason why some mystery fans will play this game). As you unlock each recreation, it’s saved as a replay you can access as a bonus from the main menu. Poirot earns “Ego Points” for doing things in his inimitable fashion, so checking his appearance in every mirror he comes across, being reasonable and polite whenever possible and a few other Poirot-like things add to the total points received. 600 EP seems to be a perfect score here, so the game does have replay value if your own total falls below that when all is said and done. Visually, the stylized characters look excellent against the colorful and nicely realized indoor and outdoor environments, although their overall animation is a tad limited. That said, add in the excellent use of music and great voice acting and it almost feels as if the dev team has the makings for a potential Poirot animated series or future Agatha Christie games. Granted, the talented Mr. Poirot isn’t exactly what one would call a runner. His leisurely stroll through each area makes up for a nice slice of the about ten hours or so it takes to play through the game. But it’s not a bad thing at all thanks to the story being so compelling. Still, that the game isn’t going to overly task one’s own grey matter thanks to the ability to use “rechargeable” hints may put some veteran adventure gamers off the trail. But Artefacts and Microids wanted a more casual friendly experience that would also appeal to those who like the source material and here it works excellently thanks to the end results piecing so well together. If this one’s an indication of what the future holds, with some tweaking and a bit more player freedom, another Poirot adventure will be an even better trip into the man’s world and mind. Granted, Christie purists probably don’t want the more fantastical approach Frogwares took with its popular Sherlock Holmes series of adventure games. But some happy middle ground should suffice and there are plenty of Poirot tales to weave as time marches onward. 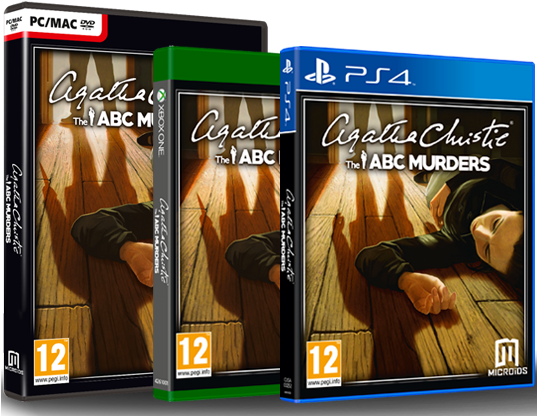 This entry was posted in 2016, Commentary, DAF, Features, Updates and tagged 2016, Agatha Christie - The ABC Murders, Artefacts Studio, BUY This Game, Digital Games, February, France, Gallery, Imports, Microïds, Microsoft, PC, PC Games, PlayStation 4, PS4, PSN, Reads, Reviews, SCEA, Screenshots, SEN, Sony, STEAM, Valve, VGA 101, Videogame Appreciation 101, Videogame Reviews, Xbox Live, Xbox One, YouTube by geelw. Bookmark the permalink.